Album release: East Island City: Me and What Army? Formed in May of 2010 in Dublin, Ireland, East Island City is comprised of Greg McLoughlin, Steve Grealy, Andrew Curran, Ste Hyland and Justin Capocci. Upon finalizing the line-up, the band went straight into the studio and released their debut EP for free in July of that same year. After seeing their record downloaded a whopping 15,000 times, the band were awarded the Band Of The Week accolade by the renowned US clothing line Glamour Kills, invited as main support for the likes of Framing Hanley, Twin Atlantic and My Passion, and even picked up an endorsement from Blackstar Amplification. 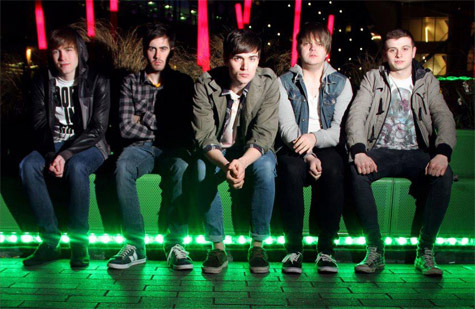 2012 has seen East Island City hole up in the studio with producer Neal Calderwood, the products of those sessions going on to form their new mini-album Me And What Army?, 6 tracks of high intensity pop-punk. Opening track Feels Like Home To Me kicks things off in more quiet, contemplative fashion, ahead of forthcoming single No Tomorrow, where the record really hits its stride. The title track itself hammers a way to the finishing line, while elsewhere The Borderline and You Are The Light both exploit some fine guitar work before closing track Nobody’s Gonna Miss Us marches tirelessly to a soaring conclusion. East Island City are proving themselves to be a powerhouse of ideas, hooks and choruses. In vocalist Greg McLoughlin they have a great frontman too. Talking of the release McLoughlin said; "This year, we will be hitting the UK for some extensive touring. We'll also be writing and preparing our debut album”.